Happy Monday, everyone!! I can't believe that I haven't been able to sit down and write a blog post today until now, but I have just had other things going on. But, now I do have some time...and I can proudly say that I am the Moxie Fabber of the Week!! 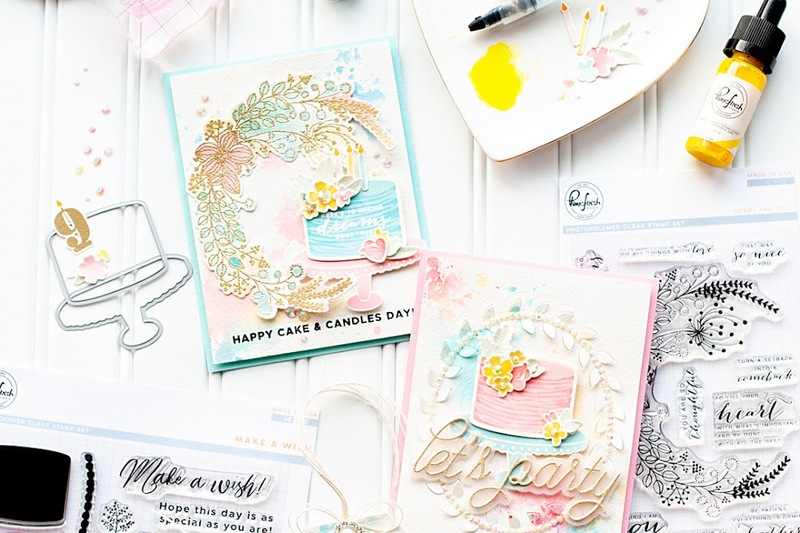 Head on over to the Moxie Fab blog if you would like to read my interview, and see some of my favorite cards. Cath wrote the sweetest little note about me at the end of the post, and it definitely warmed my heart reading it. Thanks so much, Cath....I feel completely blessed by what you wrote. Instructions: Fold red cardstock in half to make card base. Cut a vintage cream cardstock block slightly smaller than the card, zig-zag stitch along the edges, and adhere. Cut three patterned paper strips to fit inside the cream block, and ink the edges. Zig-zag stitch along the edges of each paper strip, and adhere to the front. Diecut and emboss a floral paper block using the Cuttlebug & nested frame die, then adhere to the front. Cut the strip of tickets from patterned paper using the Cuttlebug and ticket border die. Tear off each end, sand the edges a little bit, and then adhere to the front. 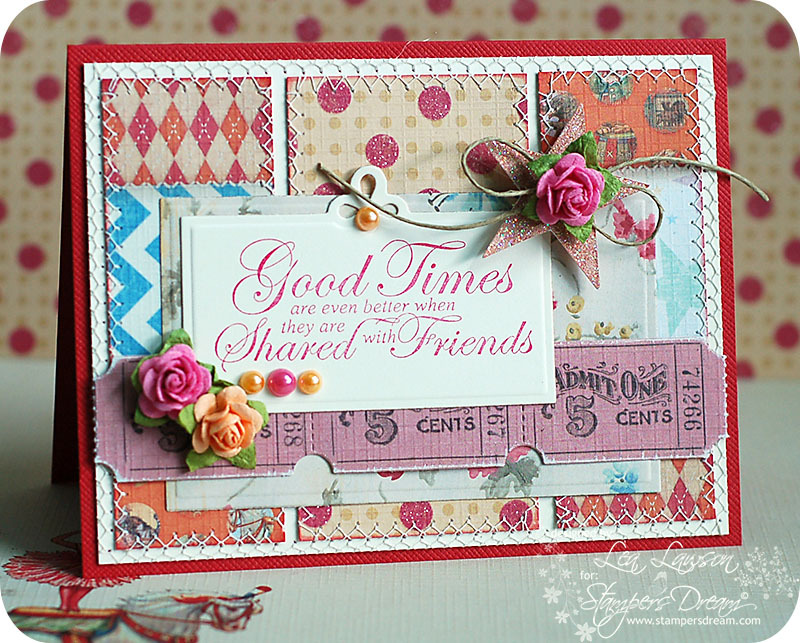 Diecut the sentiment label from vintage cream cardstock using the Cuttlebug & nested label die. Stamp the sentiment to it, and adhere to the front. Diecut a star at 1.5" from orange patterned paper using the Cricut Expression & Plantin Sschoolbook cartridge. Cover the star in glitter, then top with a twine bow and pink paper flower. Adhere the star accent to the sentiment corner using foam adhesive. Accent the other corner of the two paper flowers, and then add pearls to the sentiment label to finish. The only thing left that I need to do is let you know who won the Skipping Stones Design stamps from THIS POST last week. Without further ado, here is the winner!! Congratulations, Terri!! Please email your shipping information to jnllawson @ bresnan.net (sorry for the spaces, I don't want spam) and I will get it passed on to the SSD owner!! Thank you so much for your lovely comments...I loved reading each and every one of them! Congrats Lea! Gorgeous card too! Wow! Thanks so very much. I've emailed my info to you. I love that card you made and I love the butterflies and sentiments too! How much I love this card? It's all parts wonderful, Lea! Congratulations on being featured at MFW, but I already knew you were Moxie Fab. This card, as anything you make, just proves it. beautiful card Lea! 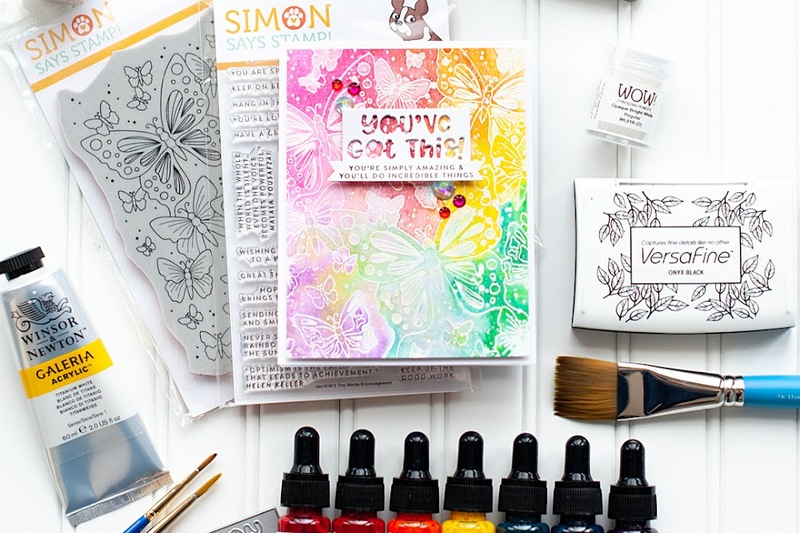 Congrats on featured on Moxie Fab!! Way to go! What a BEAUTIFUL card! 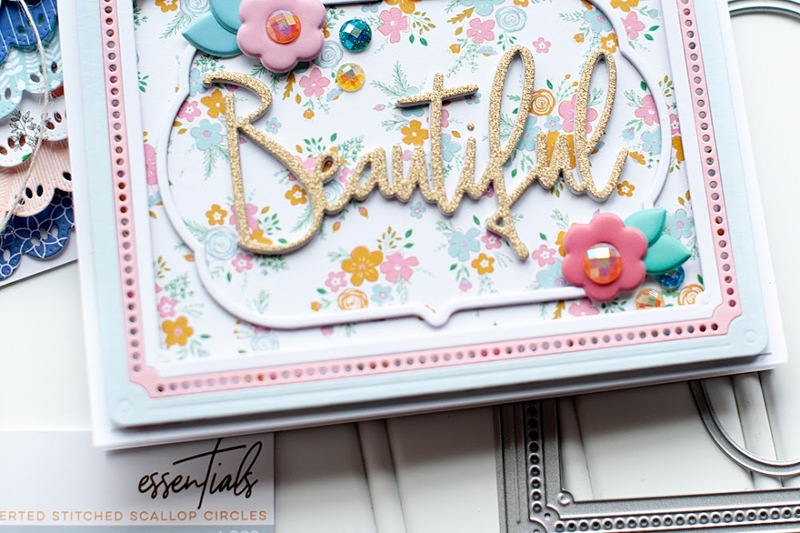 I can't believe how you make so many details look so gorgeous together! I loved your interview over at the Moxie Fab blog - and think your being featured was *SO* well deserved! congrats on your fabber spot! your card is gorgeous!! American Crafts "Guest Designer of the Week"
Skipping Stones Design Sketch 65 + Giveaway! !